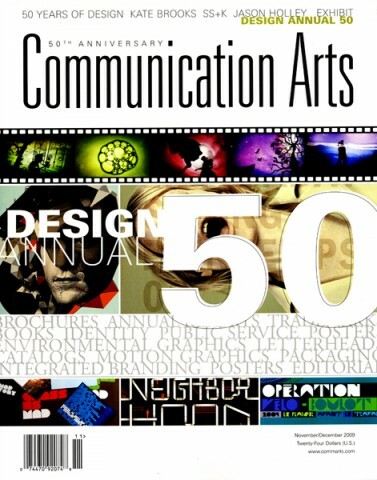 For the last 50 years, Communication Arts has published the best in visual communications from around the world. Attracting entries from over 40 countries, the Design Annual features the best posters, brochures, packaging, trademarks, corporate identity, annual reports, catalogs, letterheads and signage. CA’s Design Annual juried competition is the most prestigious in the industry and the publication of results is the most popular edition of the year, reaching nearly 76,000 readers across the globe. Only 2% of the work entered is selected for the annual.